Magic London Carpet Cleaning in Chislehurst (BR7) offers carpet cleaning services using the most powerful equipment and the most effective cleaning products to get your carpets clean. We use techniques to remove stains, dirt and grime so as to improve the appearance of your carpet and to lengthen the life of your carpets. We carefully inspect the condition and fabric of your carpet before choosing a cleaning method. Call us now at or fill the form below to get a quote! 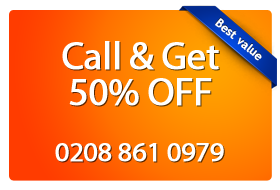 Magic London Carpet Steam cleaning Chislehurst (BR7), uses steam cleaning, the most efficient method of carpet cleaning. The steam cleaning method involves a complete hovering of the entire carpet to loosen dirt, hot water extraction and deodorizing to get rid of odours. We are a highly trained and fully insured company.